So the infamous app Instagram gets another concept product design. It would be pretty cool to have one of these. You're walking, you see a cool scene and you activate the camera. 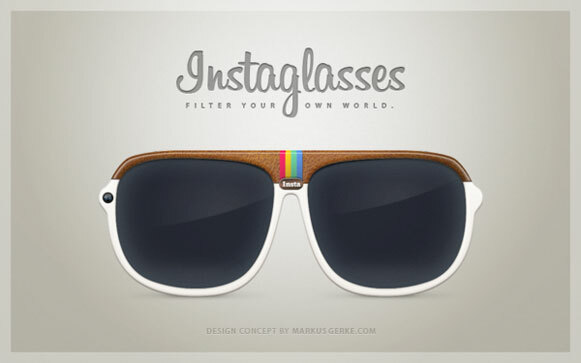 The "click" button and the filters are on the side of the glasses: just shoot, choose the best filter and voila! By German designer Markus Gerke.